Lately, my lunchtime reading (out of the enormous stack) has been the book Imagine by Jonah Lehrer. It’s a fascinating investigation into the conditions under which creativity occurs. While the book has attracted some bad press recently, the main messages ring true with my own experience. I’ve been thinking a lot about creativity lately, because my novel is chugging slowly toward completion. I’m now in the midst of a 4th (and hopefully final!) draft of this 4 1/2-year project, so fostering the conditions under which creativity can blossom is a major preoccupation. While I may not be as scientific about it as Jonah Lehrer, I do have a few favorite ingredients for effective creative work. First ingredient: chocolate. Chocolate makes everything better. Especially if it also has coffee in it! Second ingredient: post-it notes. Definitely multicolored (although I’ve heard rumor that the yellow ones are the stickiest). 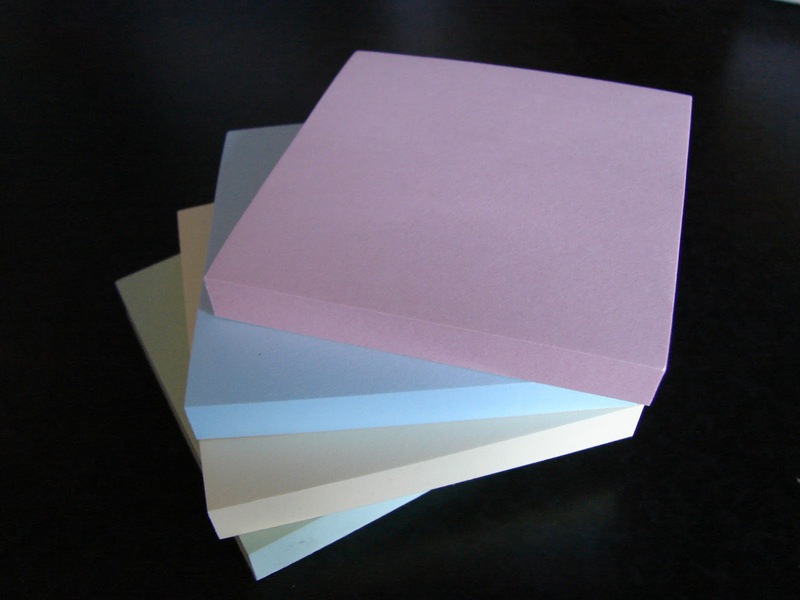 I’m currently using them to color-code my revision notes: pink for introduction, green for body, blue for conclusion, yellow for characters. I use so many that I should probably buy stock in the post-it note company. Third ingredient: English tea. Yesterday I even got lucky and found a scone to go with it. 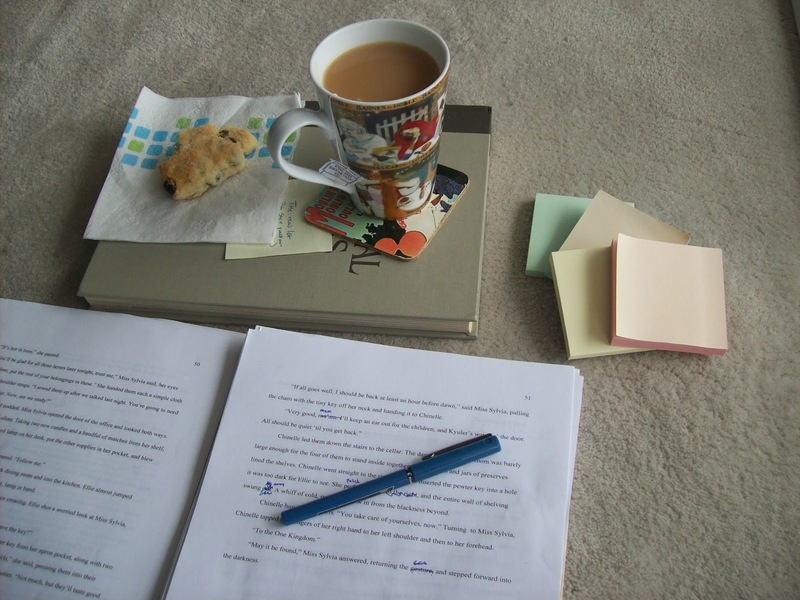 Tea, scone, post-its, favorite pen, and double-spaced manuscript. Perfect recipe for a productive novel-writing afternoon. What are the ingredients of your creative process? Awesome! It’s so true; I read a blog post about making time for the pre-art creativity to happen. 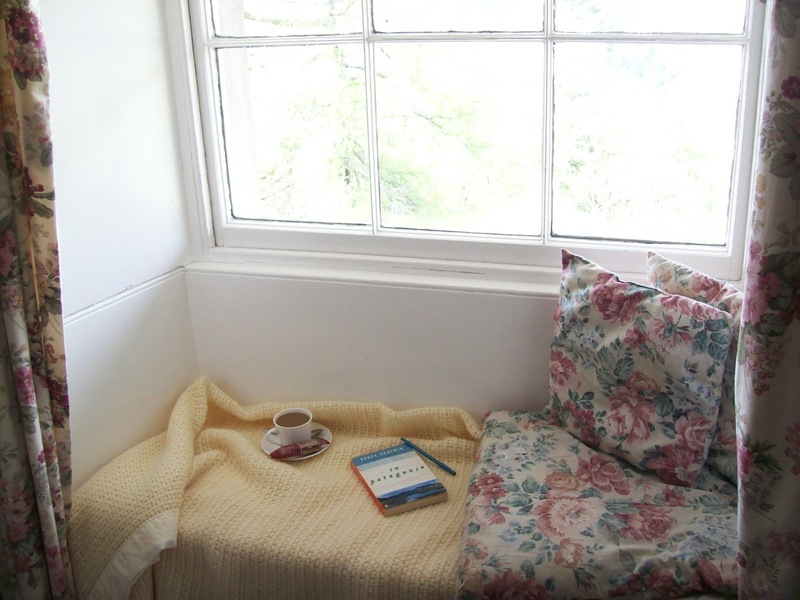 We need space in our lives to exhale, and in the nothing-time, the ideas start to churn. Great idea about Pinterest–I think fasting from social media last week helped me to get off the social media hamster wheel for a while and sit with my own life and ideas 🙂 Can’t wait to see what comes of your cultivating-time! Being outside and gardening, especially weeding (menial labor! )seems to be instant creative fuel for me, though by the time I’m done I’m so tired I can’t always put the creative ideas into practice. But I’m always inspired by the ideas God seems to bring to mind outdoors. I say God because most of the time these ideas seem to come out of the blue, applications of weeding to my inner life. Maybe I will try some of your suggestions to move to the next step of actually implementing those creative ideas, and, like Elaine, get that blog reignited! 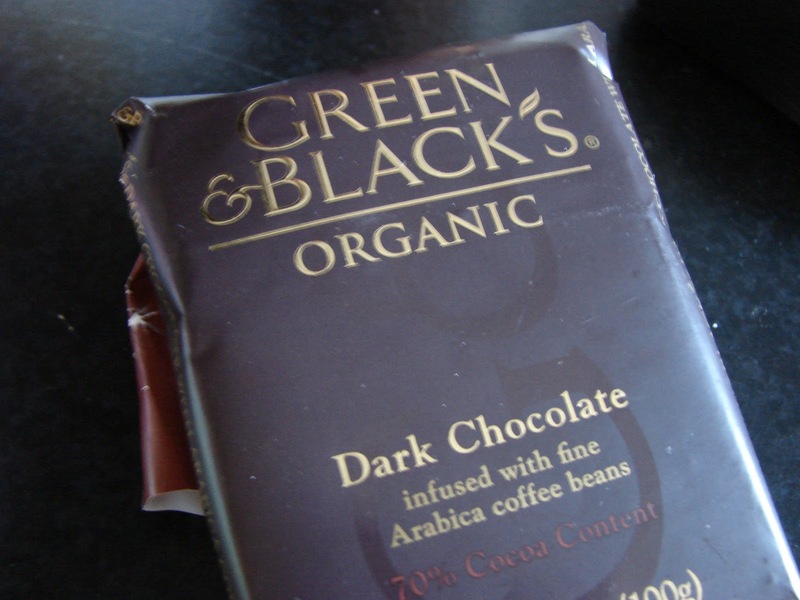 By the way, I notice that in your photo of that delicious bar of dark chocolate, the wrapper has been tampered with :0!! Thanks for getting the fuse going! I can TOTALLY relate to chocolate and post-it notes but will sub Coffee for tea. There are many things that fuel my creativity — I try to pick one each week and blog about it. :-)I definitely believe in getting away from the computer to allow inputs from all over the place — with input there is no output. Hm…I’d say coffee is a very acceptable substitute 🙂 You’re right, though–the computer is no substitute for input from real life. Chocolate, coffee, a long walk, a funny radio show, anything that’s cleverly written (movie, tv show, book, etc), and trusting the possibilities our creative minds offer up. All of these fuel my creativity.